In a stainless steel saucepan over medium heat, add onion and white wine. Reduce wine until only 3 tablespoons (50ml) remain. Turn heat to low, add heavy cream and begin whisking in the butter a couple of cubes at a time until all the butter is incorporated. Add the lemon juice and lobster tails. 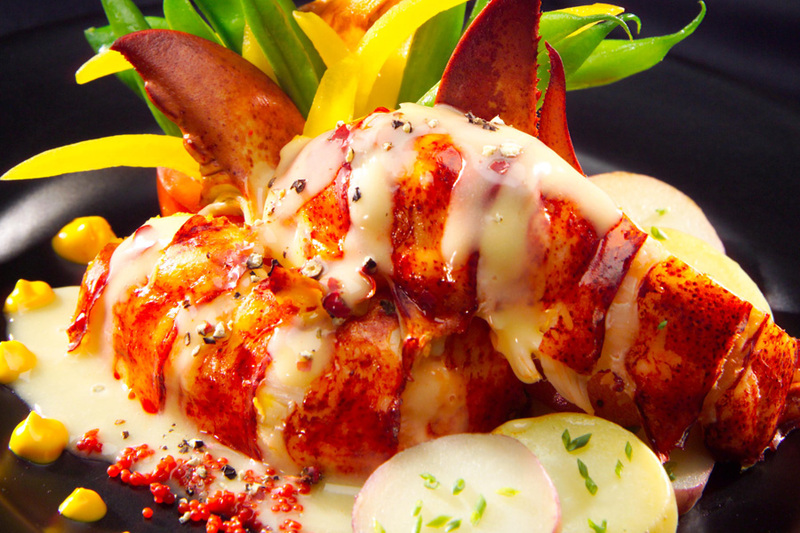 Stir continuously until the lobster is firm and cooked, approximately 5-7 minutes.